Helping all of you have power and got through Irma without many issues. Having just getting power back I know how uncomfortable and hot it gets. 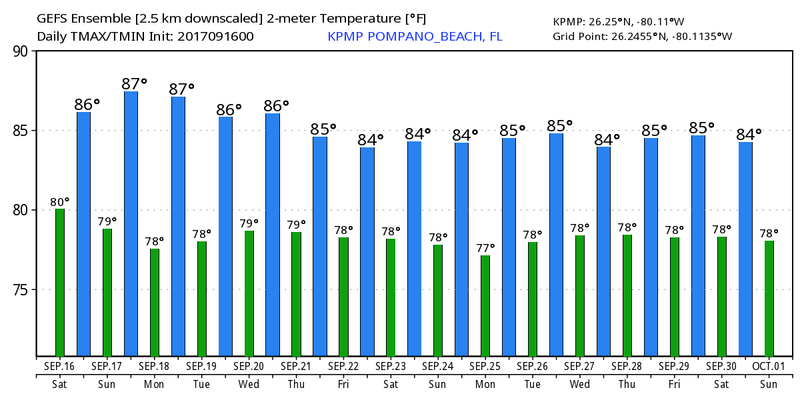 We will not see any relief from our typical September warmth with partly cloudy skies and a high of 89F. Just a very outside chance of a shower today as we have the dry air surrounding Jose over us. Looking ahead we can see the fall pattern setting in with the latest GEFS tenpurture output as we slowly move away from the 90s as highs. The only weather threat we have is a high risk of rip currents at the beaches due to Jose. 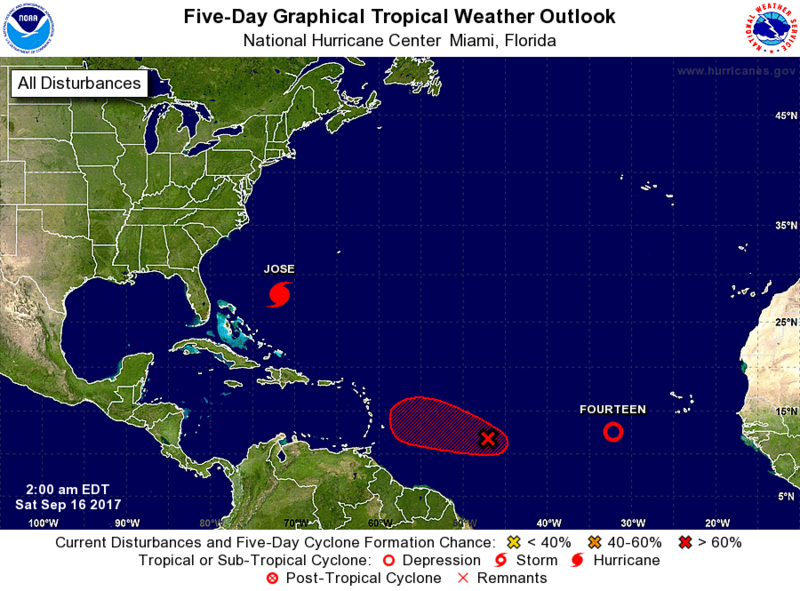 Tropics remain active with Jose well to our east moving north and TD 14 which is not expected to be a system in a few days as it moves off to the WNW. There is a chance the TD 14 could become Lee later today before weakening. There is one additional area being watched, in between Jose and TD 14, which is likely to be a depression by the end of the weekend. Current modeling bring this system up to the Bahamas before turning north, BUT, we need to keep an eye on systems like this. Stay positive if you do not have power and enjoy your day!